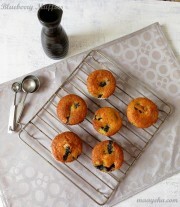 Line the muffin tin with paper liners and grease lightly with butter and preheat oven to 180 degree F.
Chop and puree the bananas with a hand blender. Add sugar and oil in the mashed banana and beat well with a whisk. Mix together flour,baking powder,baking soda and salt and sieve twice. Now add this flour mixture and oats in the banana mixture.and beat well. Gently mix in the chocolate chips and crushed walnuts. Fill each muffin cup till 3/4 . Bake for 20 minutes or untill a toothpick inserted comes out clean from the cake. Let it cool down for 5 minutes then remove from the pan. if stay more then this, then the muffins paper liners will become soggy. Eggless they,But have come out perfect..Cheers. Double like for eggless baking 🙂 Looks very soft n moist. 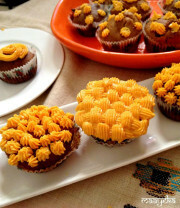 Super cute & soft muffins. 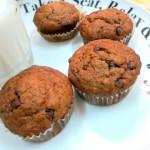 Muffins looks very cute.. perfect colour too..
great looking muffins…looks so soft! 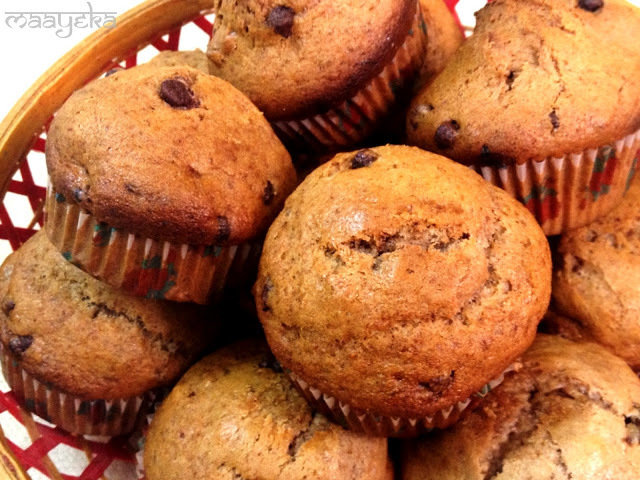 great looking muffins!…perfect with a nice cup of coffee! 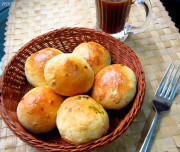 Wow..muffins looks so perfect and yummy.. 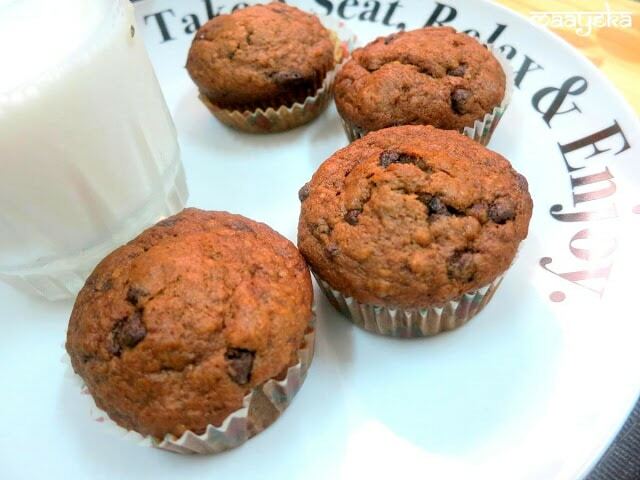 The muffins look so appetizing..love the banana flavour..
yummy n soft luking muffins…. Omg… These are really awesome…. They looks damn cute and utterly delicious.